Kent Gives Back at bOing festival August- We need you! 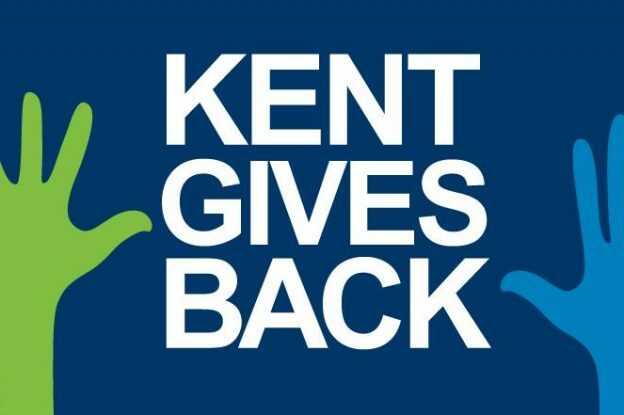 Kent Gives Back, in partnership with Kent Union, is a great opportunity to enhance skills and networks whilst working together for a local community cause that matters to you. On Saturday 25 August we are asking a group of Kent students and alumni to come and support us and volunteer at the bOing! Festival from 09:00 -17:00. But, we still appreciate it if you can only come along to volunteer for a couple of hours. The festival takes place on the beautiful University of Kent campus in Canterbury. It will be an amazing day showcasing the very best in theatre, dance, music, films and fun for all the family, packed with magical performances and experiences. There are many volunteering opportunities with bOing! that you can get involved in, such as being a production volunteer or a technical volunteer. You will gain extraordinary insight into the running of a venue/event. We are committed to helping you develop your skills and your confidence concerning the task of your choice. You will have the opportunity to meet others with a shared passion and also watch quality performances and screenings. Join us at this event in August, to network, donate your time and share stories with Kent students and fellow alumni. Also, join our Facebook event page to stay up to date or email alumni@kent.ac.uk – click here to register! This entry was posted in Campus online, Student Guide and tagged Campus online, Canterbury, Student Guide on 13 July 2018 by Sophia Cheraitia.